Good writing skills aren’t something that one can develop easily since it takes years of practice as well as a knack for learning. 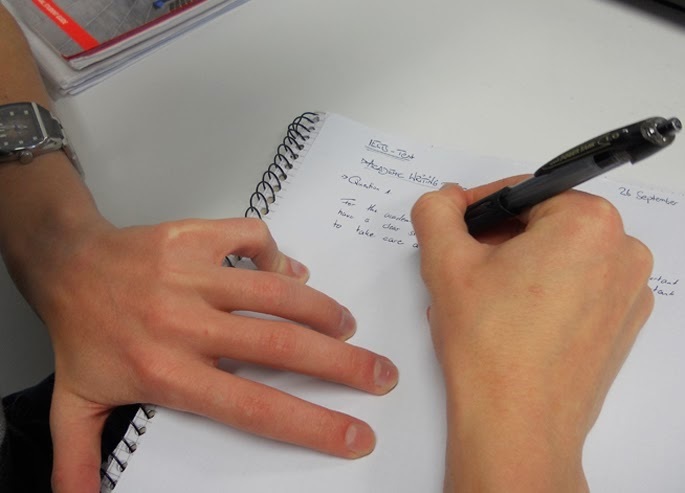 Students in the US and UK are often asked by their teachers to compose an impressive essay. It’s not like their teachers won’t want them to be a great essay writer, but this assignment is given to them to help them unleash their potential and creativity. They often forget to write thesis statement on which the entire essay is based. It is recommended to write statement at the end of introductory paragraph. Thesis statement is very important because it summarizes in the mind of reader what the whole essay is about and what kind of ideas will be discussed in the entire essay. The first thing that writers should do before starting to write an essay is to decide which tense to use. Let me explain this mistake with an example about what writers usually do especially when they are in a hurry. Incorrect: Mike wants to go to park, but then he got so busy and could not join his friends for fun. Correct: Mike wanted to go to park, but then he got so busy and could not join his friends for fun. In essay writing it is preferred to use ‘one’ instead of ‘you’, so avoid using it. Incorrect: If you don’t understand the situation, you should not speak in the middle. Correct: If one does not understand the situation, one should not speak in the middle. When writer discusses the same idea in essay again and again, readers get bored and frustrated. This happens when writer has too little to say. Expand boundaries and find more ideas to avoid repetition. Also, make sure that each paragraph elaborates only a single idea. Writers must inexcusably use auto spell and grammar check option while writing essays on word processor. Just a second to turn it on will save your thirty minutes for correcting it. However, spell checker will not point every mistake that you make, so you should be careful yourself as well. While writing essays, writers use isn’t, instead of ‘is not’; don’t, instead of ‘do not’; can’t, instead of ‘cannot’; and won’t, instead of ‘will not’. This kind of writing style is not appropriate for essays. Writers usually forget about the consistency in flow when they have a lot to write. Flow in essay compels the readers to read essay till the end, so one must ensure it carefully. (*) Andrew Alpert is a professional blogger at Coursework Labs. He has wrote these tips to guide students by help of Coursework Experts. 9 Blogging Perks for Only Committed Teachers!